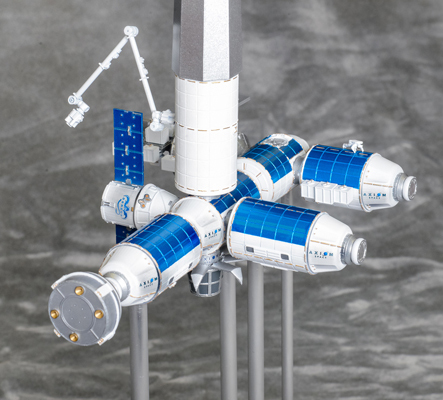 This is a 1:100 scale model of a Commercial Space Station, which we were commissioned to build in 2019. 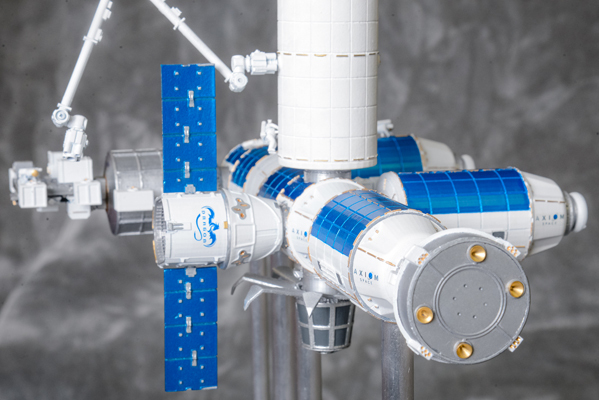 The model features a variety of customized modules, stowage facilities, an airlock, an observatory, a robotic arm and a main solar array. 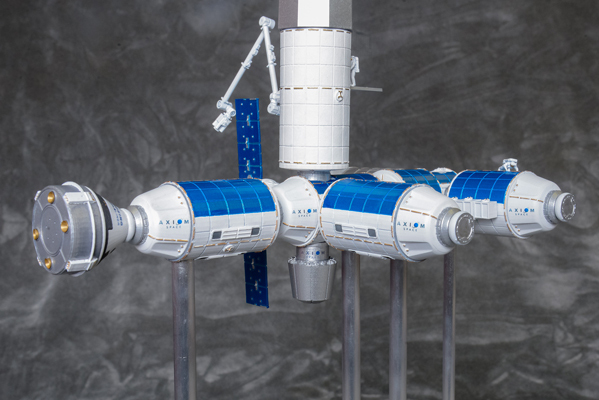 The model is accompanied with replicas of the SpaceX Dragon and Boeing CST-100 supply ships. 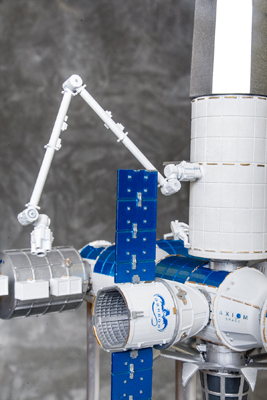 Later we are going to add to this set a replica of the SpaceX Dragon 2 as well. 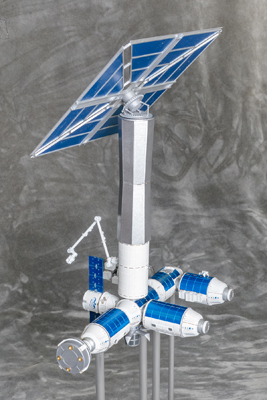 The model also includes several posed astronaut figurines, designed and customized for us by Mr. Max Grueter. 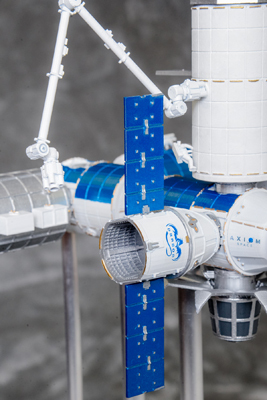 The model was designed in 3D software, produced by rapid prototyping and manually assembled, painted and decorated. 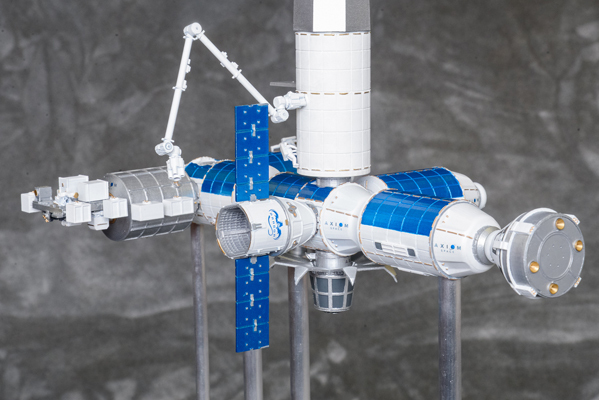 In this model we implemented the features and technics developed for our models of ISS, which we were building and perfecting since 2008. 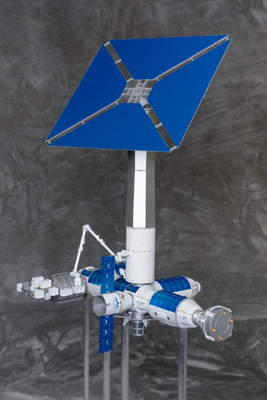 The model has reliable internal reinforcement system, holding the modules together. 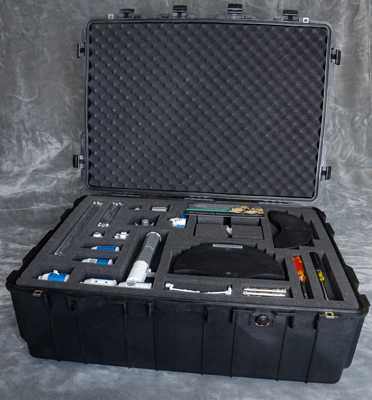 Most vulnerable elements are produced from durable materials – metal and nylon. 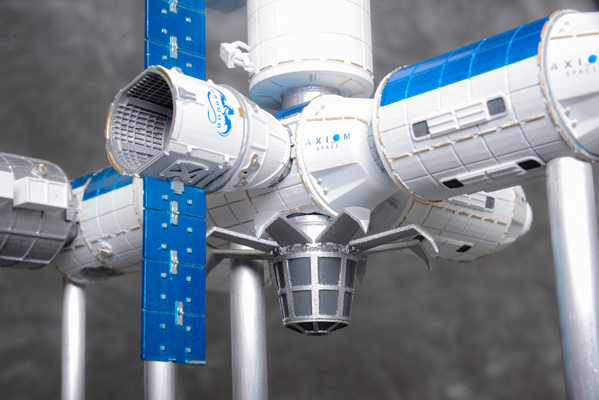 Selected components and supply ships’ replicas have embedded magnets, allowing to reconfigure the station and exercise various docking schemes. 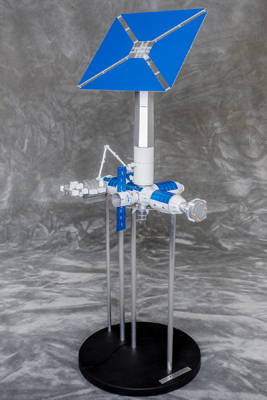 The model is mounted with support poles on a black painted base. 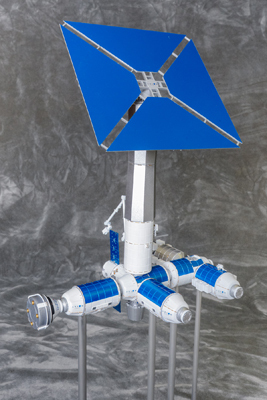 The model is designed to be partially disassembled during transport. 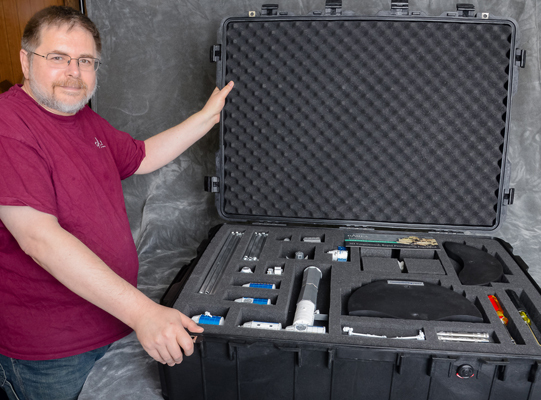 It is packed in a Pelican heavy duty transit case and can be fast and easily assembled for presentation.